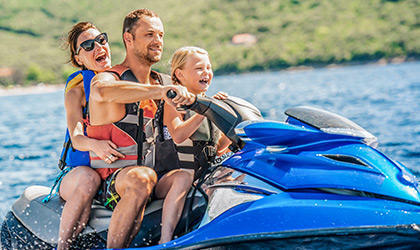 We are a local, family-run insurance agency serving Grove, Grand Lake and all of Oklahoma since 1986. Our emphasis is in providing you with some of the best Personal and Business insurance products with old-school customer service. 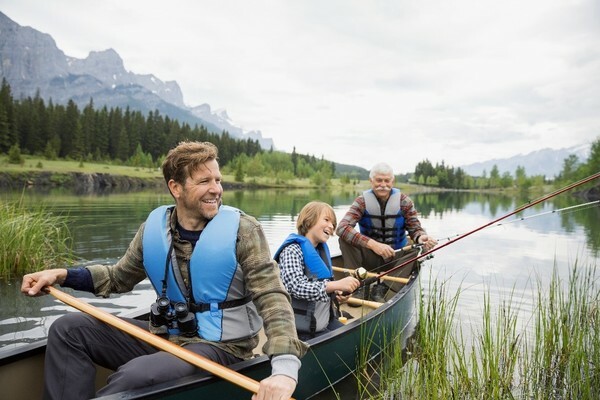 Our focus is on the client, making sure their assets are protected and all available options are discussed, so they can make smarter decisions about their insurance program. We invite you to give us a call today to learn more about your coverage options for Auto, Home, Life, Business Insurance and much more! 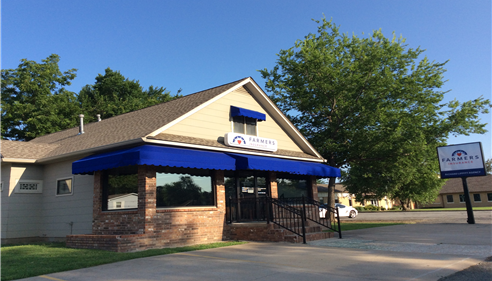 If you have time, we welcome you to stop by our office which is conveniently located on the corner of Main and 5th St., look for the blue awnings on our building! Let’s find a time to sit down and review your current coverage together, or simply examine your specific insurance needs. 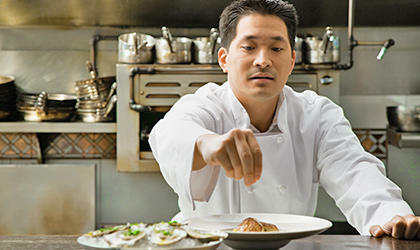 My staff and I will make the insurance process easy and personalized so that you can rest well knowing you are covered. At Lippitt Insurance, our goal is to make sure our clients are well informed about the options they have to build and protect all of their assets. We feel it is critical that you have an insurance program that is developed around what is important to YOU and YOUR goals and dreams. We ARE Farmers®. We ARE Lippitt Insurance. Let us show you the Difference. We will be happy to listen and explore how you can improve your insurance value. Give me a call at (918) 786-2366 and I'll be happy to answer any questions you might have. Rotary is an organization of business and professional leaders united worldwide who provide humanitarian service, encourage high ethical standards in all vocations, and help build goodwill and peace in their local communities and the world. 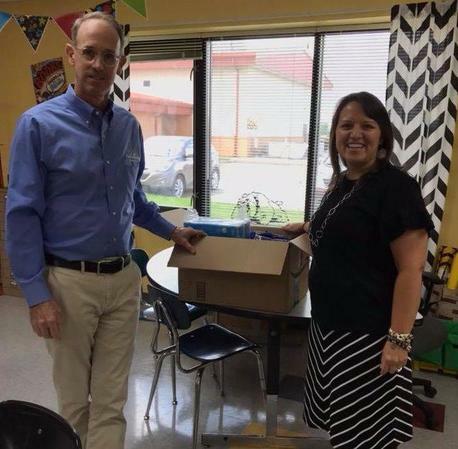 A voluntary organization, the Grove Area Chamber of Commerce is comprised of approximately 400 businesses and individuals who have joined together to promote the community’s civic and commercial progress. The mission of the Northeast Oklahoma Board of REALTORS® is to provide leadership, education, technology and support for members, to promote the REALTORS®' image and ethical business practices and to elevate our membership to better serve the consumer, support our communities, and protect private property rights. Incredible experience with the agency! They were personable and recommended the right coverages for my needs. Their follow up and constant communication was fantastic! Brad, thanks a ton for such a nice review. I am happy you are happy with our agency. We will work hard to keep you happy for many years. Thanks again for choosing us to help you with your insurance. 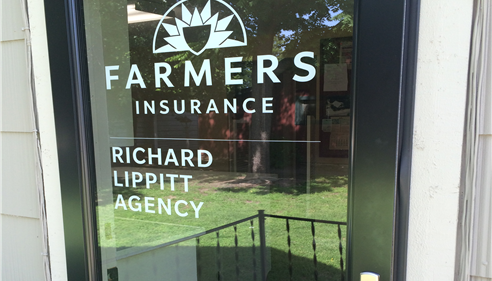 I would recommend Farmers Insurance and Richard Lippitt in particular. 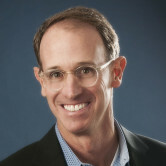 He does a great job of explaining coverages and makes very good suggestions for his clients. Thank you for taking the time to leave a review. We appreciate you doing business with us. Richard is extremely helpful and always goes all-out to provide answers to any questions. He is very friendly and works hard to get the best value and coverage. I highly recommend Richard. Thanks Kent for such a glowing review! We do appreciate you choosing our agency to handle your insurance. Great with Linda and Richard. Thanks Charles! We appreciate your business and love helping you with your insurance. Tom, thanks so much for the 5 star review! We appreciate you choosing us to handle your insurance. We look forward to a long-term relationship! Thanks Robert for a 5 star review! We appreciate you too! Buddy, thanks for taking the time to leave us a 5 star review. And Thanks for your business! Richard was very helpful he did a great job finding us coverage for what we needed. He took the time to explain the coverage to where I could understand it! Very friendly!!!!! Will defiantly refer him to any friend or family!!!!! Thank you for taking the time to review or agency! We are always looking for feedback, positive and negative. Glad we could help your Family. Thorough job, and cheaper than my previous carrier. Thanks for taking the time to review our agency! We are glad you are happy with the services we provide and look forward to a long, happy relationship. Thank you for your choice to do business with us. Richard did a great job for us and took the time to really explain the home insurance process in detail. The coordination with an out of state agent for other home went seamlessly. Thank you for taking the time to review our agency and thanks for the opportunity to help you with your complicated insurance program! We love challenges and appreciate you choosing us in Oklahoma and Texas! Mike and I found Richard extremely helpful in explaining the home and auto insurance. 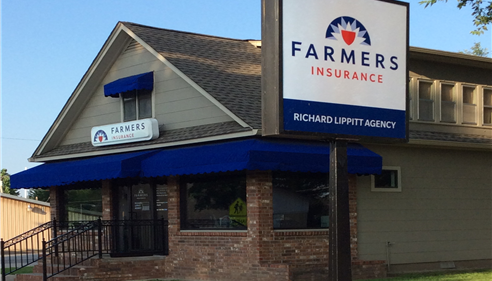 One of the reasons we switch to Farmer's was the service we received from Richard. He seemed to work for our best interest, we are extremely pleased and hope our union with Farmers is long and prosperous. Thank you guys for taking the time to review our agency. I am glad you approve of our way of doing business. We like to be thorough and make sure you are aware of your options. Thanks for choosing us to be your partner. Brian, thanks for taking the time to review our agency. We appreciate you! Richard put together a good plan of insurance for my home and auto with good pricing. He is very responsive and easy to work with, definitely knows his products. Adrienne, thanks for such kind words. We appreciate you choosing to do business with us and will work hard for you! Thanks Caleen for taking the time to leave us such a nice review of our agency. We appreciate you and will continue work hard to keep you as a long term client. Excellent service, always takes time to explain my policy and make sure I have understood it. Cynthia, thank you a great review. And thanks for your business! 5 star service! Very efficient, organized, and helpful. Scott, thanks for a nice 5 star review. We appreciate you choosing us to help with all your insurance! Richard is always available and always helpful. We appreciate his attention to detail and his prompt answer to our questions. Richard, thanks for taking the time to leave us a great review. We are happy to know our clients appreciate our service. We appreciate you! Richard & Linda Lippitt provide excellent service to their clients. They are very prompt with quotes, detailed explanation concerning coverage, and they have clients best interest in mind. Julie, thanks for taking the time to leave such a great review! Thanks again for choosing our agency! Our office is located on the corner of Main and 5th St. Convenient corner parking for our clients. 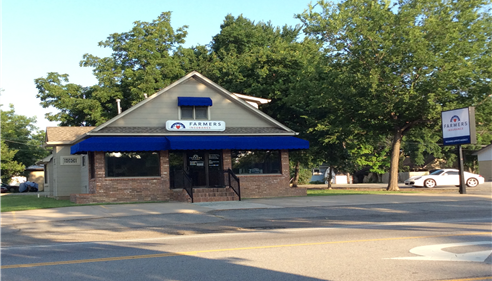 Can't miss the blue awnings on Main St.
We also have back door access with no steps for your convenience. 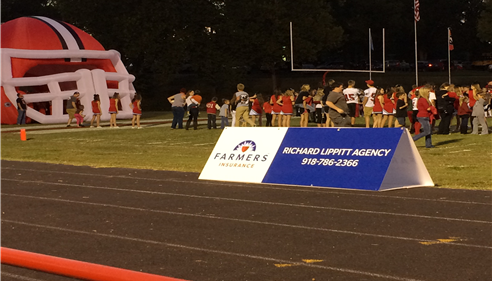 Proud sponsor of Grove High School Sports! 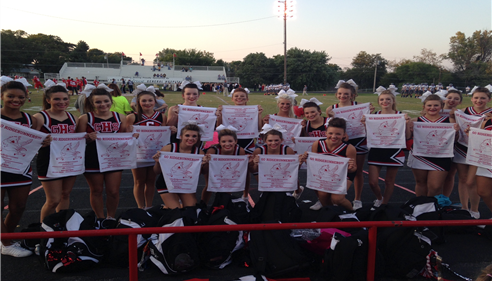 Grove High School Cheerleaders with our RALLY TOWELS! 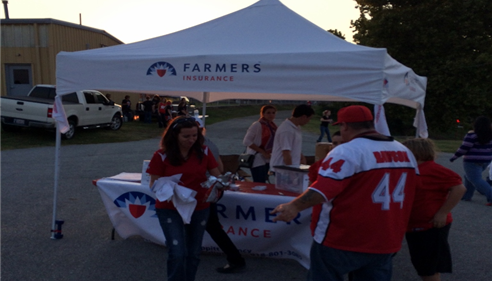 Giving away Rally Towels and signing up contestants for a chance at $3,000! 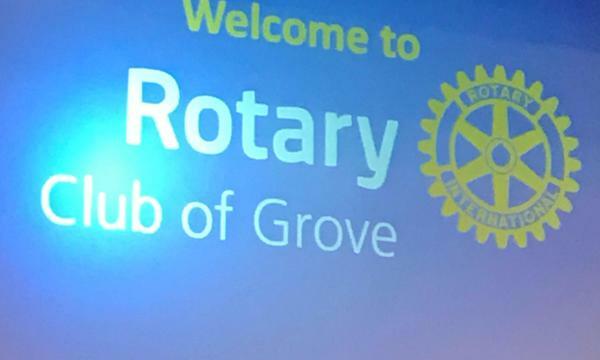 Grove Rotary giving away $85,000 to 41 area schools, community and charity organizations!